plug in your own answers, and then link back up to the Medley. Most of you already know this if you have followed me for very long...I am the "baby" out of eight siblings. My oldest brother (we were 20 years apart) passed away in 2017, leaving a huge hole in our family. We have never been rivals in any way, shape of form and have always supported each other in every thing and in every way. There have never been any family squabbles that I can recall, just a whole lot of love...and I don't say that to brag or boast. I say that out of a most thankful heart to the Lord for allowing me to be blessed by belonging to this crazy bunch. I look forward with great anticipation to every chance I get to visit with my dear siblings and try to up get to Ohio at least once a year. Here are some pictures of us throughout the past several years...I couldn't find any of the old black and whites from the early times where we were all together. Bob had already left home by the time I came along and gathering the rest of us was no easy task to get snapshots, when the old Brownie camera had film in it, that is! One of the last reunions when Mom was still with us. The year brother Bob was to ill to join the reunion. 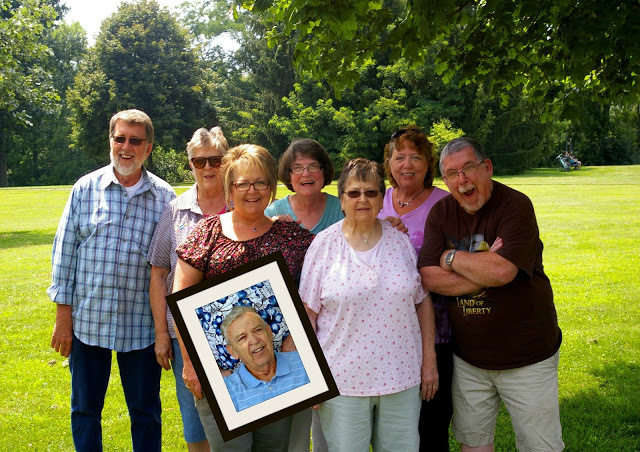 A little photo editing brought us all together again. Yes, I have heard of this book but I don't know that I ever really thought much about the subject. I do think there might be something to it in a family where there are just a few children but not so much when there are many. I think it also depends on how the parents relate to the children. I personally have not experienced a birth order thing but can certainly understand that it could be an issue in some family situations. All I know is that we just loved each other and thoroughly enjoyed growing up in a large family. I've shared this photo before but I just love it so much. This is the flip-side of the "birth order"...the oldest and the youngest. Although there was never a time when we were not a close bunch, through the years we have all gotten closer in our spirits. We all love Jesus and we live our lives accordingly. 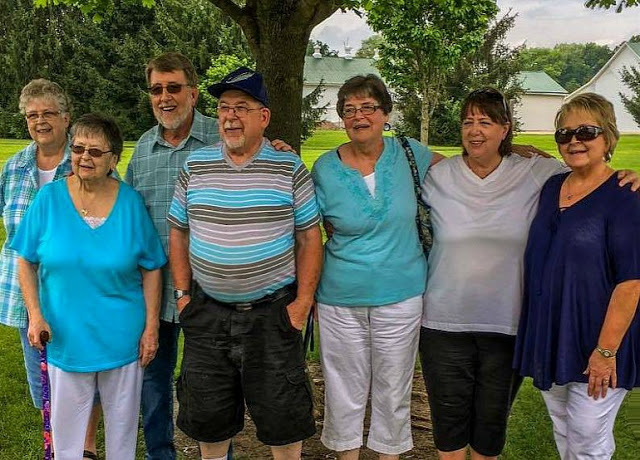 The six siblings between the oldest and the youngest have always lived close to each other in Ohio, a few of them even worshipping at the same church. My oldest brother who passed away in 2017 had lived in South Carolina since I was a tiny child when he went into the Air Force...and then we moved our family to KY in '81. 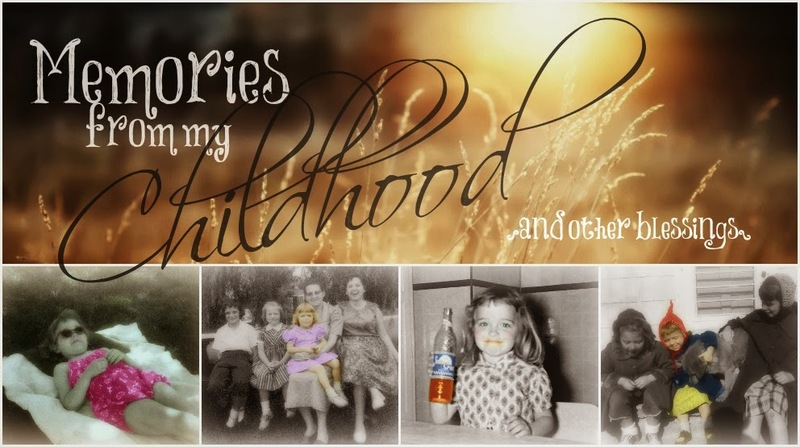 As we all grew in age, our relationships to each only grew stronger and with the help of Facebook, our connections were strengthened even more due to the ease of being able to see what see were all up to on any given day. A couple of things, actually. Jim and I had just finished dinner the other night and all of a sudden we heard that all too familiar, unmistakable sound of a bird hitting the glass patio door. Jim thought the little thing was dead and I rushed out to swoop it up before one of the feral cats had him for dinner. 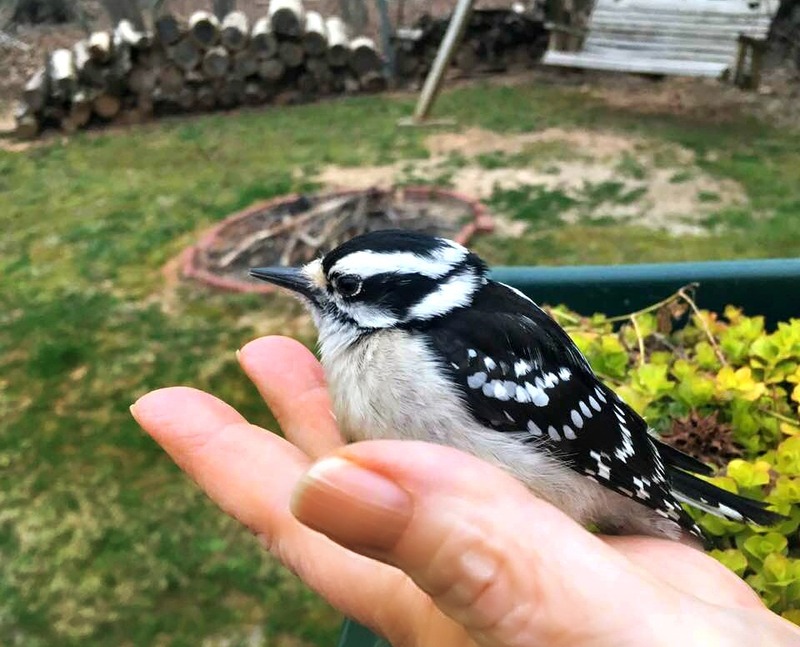 It was a beautiful baby downy woodpecker...and I immediately went into "bird whisperer" mode. It didn't take long for this little one to get his/her bearings back...only a little dazed and confused and soon flew off my hand and onto a tree branch a few yards away. I consider this a blessing from the Lord to be able to do this on several occasions and there is nothing quite like having that amazing, wild creature sitting in the palm of your hand. And on another subject altogether, I finally made good on a gift certificate to a local nail salon that was gifted to me for Christmas from Adam and Carrie. I started feeling so bad after the first of the year that I really had no desire to go get that much needed pedicure. All I can I say is ....AAAHHHHH! So that's pretty much it for me this week! Spring is finally popping out everywhere and I'm feeling good! Love all your photos... the youngest/oldest one is precious! Pedicures are so relaxing! I had mine done last week, getting ready for flip flop season! Have a great Wednesday! Your family's bond does sound wonderful. How sweet is the photo of you and your eldest brother; such a treasure. It's nice to pamper yourself every now and then. Enjoy a lovely week, dear Debby. Hope you have a wonderful day. Right after my morning bus run, my only sibling, my sister and I are off to Winnipeg. A little shopping and then a Gospel concert in the evening. Well, this post was most enjoyable to read and look at! Love all your family pics, but I especially loved the one of the oldest and youngest. I would treasure that pic. At 9, I was the oldest and remember how proud I was when my brother was born. Couldn't wait to hold him and then, at 3 months old, I dropped him. Devastated, but my sister was mad because Mom wrote that up in my brother's baby book. So funny. You are blessed to have such great relationships with all your siblings and it must have been a lot of fun growing up in such a busy household. Loved the yellow jacket story. My grandma had the outside potties and my memory is still the smell! Ugh! I need to get my toenails done, too! Your special sibling bond is such a blessing and you're right, your bond is in and through Christ. He is truly the great unifyer! And what a tribute to your parents to have maintained such a loving home where every one was accepted and made to feel an equal part. My mother was the "baby" of ten. I knew your Medley post would be wonderful this week, Debby, since you have been so blessed with a large and loving family. I'm the only remaining child in my family (and I was the oldest). I just couldn't think of a good way to run with the theme of siblings and make it work -- and didn't have time or inclination to think creatively about it. But I loved reading yours! Kind of amazing that bird wasn't seriously injured. Glad you could help it. Enjoyed your post sweet friend and loved looking at all of your wonderful pictures. Awe...so glad you got to have a pedi. Made your feet and your spirits feel better didn't it? Nothing like a pedi. Matter of fact I need to be getting one soon! Hugs and blessings to you dear friend. That bird is beautiful. I'm so glad you were able to save it. What a blessing all your siblings are to one another. A closely-knit family is a wonderful network of support. You must be feeling better to get the toes ready for sandals and spring...pretty! Love that you were able to whisper the bird back to its senses. It has to be a terrible jolt for them. It certainly is heart stopping to hear the thud. 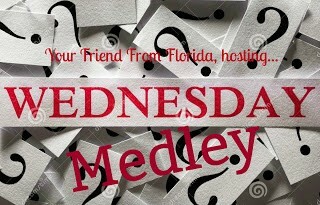 I just loved this post and thank you for joining the Medley today! 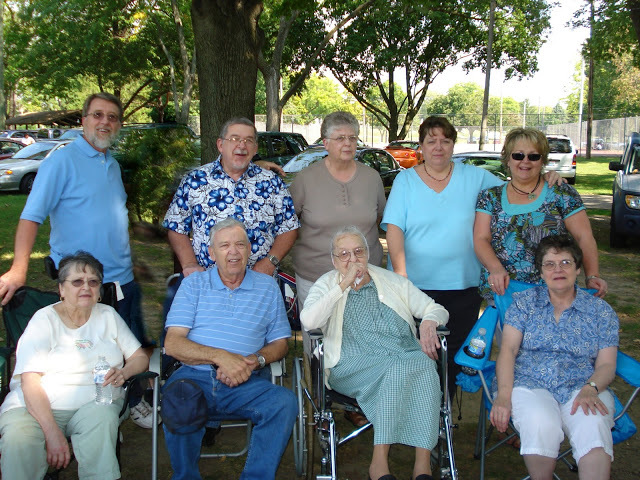 Big families who still hang out and love each other are so great! I remember the outhouse at my Granny & Pawpas's house and there were always spiders and sometimes a mouse. Yikes! Thank you for sharing this lovely, personal post, Debby. Oh how sweet to be the baby of 8! I love my baby sister and brother, twins. I'm #4 of 8 and I can relate to all your sentiments about growing up in a large family. We have a 17 year span between the oldest and youngest. Sadly one of our brothers has disconnected from us and it really leaves a hole and makes us shake our heads as to why. He didn't even come to our mother's or father's funerals. Love your random story, too. My dear hubby cared for a sweet bird that was practically knocked unconscious when it hit the window. I hate hearing that sound! 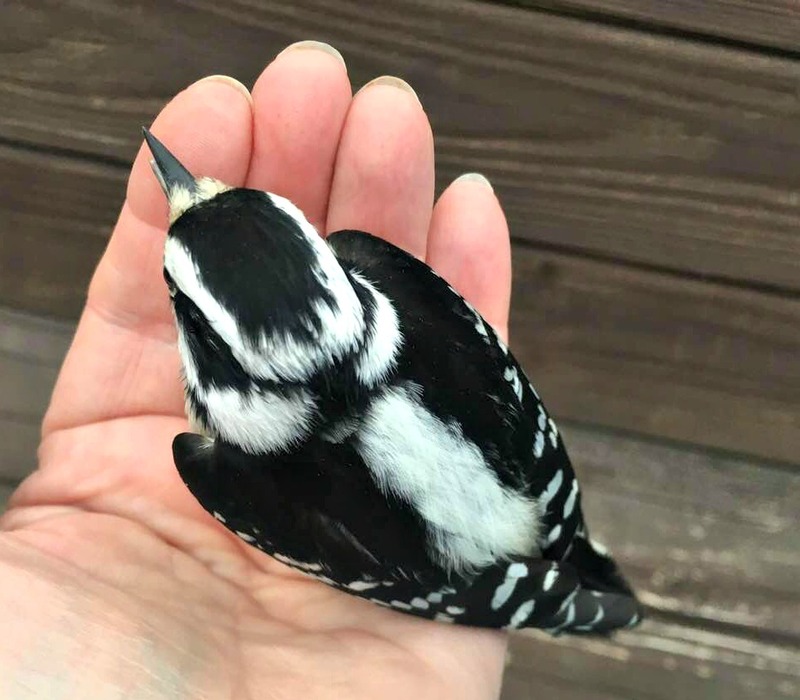 At one point when it seemed to be too cold he warmed a rag in the dryer and placed it gently on the bird and it finally recovered and flew off. Hope you have a lovely weekend dear Debby! Love all the photos of you and your siblings, what a blessing to have a large family like that. :-) I'm the same with the birds... they are always hitting our sunroom windows and it makes me so sad... they hit so hard they don't always make it. I hope you are feeling well and things are going good for you. I'm still keeping you in my prayers! Enjoy the rest of your week! A real delight to read about your LOVING family and to see those awesome family photos of you all. I bet your family gatherings are something wonderful! Yea for pink toe nails!! Happy to see that you are feeling good enough to enjoy your relaxing pedicure. I am SO thankful to hear you say you are feeling good! Oh, I do thank the Lord for answering the many prayers and sending healing and GREAT news to you, my friend. Your family look SO sweet and it is just heartwarming to hear how close all of you are and that picture of you and your oldest brother is just priceless. I know you miss him so terribly. I wish all of our loved ones could just live forever and none of us would ever have to say good-bye, but that is what Heaven will be for all of us. We weren't meant to stay here always, but we are surely meant to live forever over there. What a day that will be! I so enjoyed visiting with you tonight, Debby. God bless you and all of your family! I had totally forgotten that we are both the baby of eight children! And I swear the photo above the 3rd question, somewhere there is a photo of my brother-in-law holding their baby girl. I actually did a double take on this photo. Just cannot believe how much alike it is. So glad you were able to post...always enjoy reading your answers...even though I don't participate myself. Always enjoy hearing about your family. What a treasure and heritage you have. I'm also glad you are feeling better! Pretty pedicure to celebrate! Interesting bird story. We have a little cardinal (I think, though "she" seems faded in color and small.) She bangs her head into our windows every morning if I keep the shade up. If I bring the shade half way down she has nowhere to perch so goes over to the next window. She is scratching up the window and leaving her dirt streaking the screens below. I found her on an upstairs window when I had shaded all the other windows. She must be seeing her reflection but I think she might have dementia or something. Any thoughts? I miss being able to see out my windows. Debbie, what a fun post! You are soooo funny! Love the embarrassing story about your sister! Such a lovely post and good to see all the photographs you've shared.